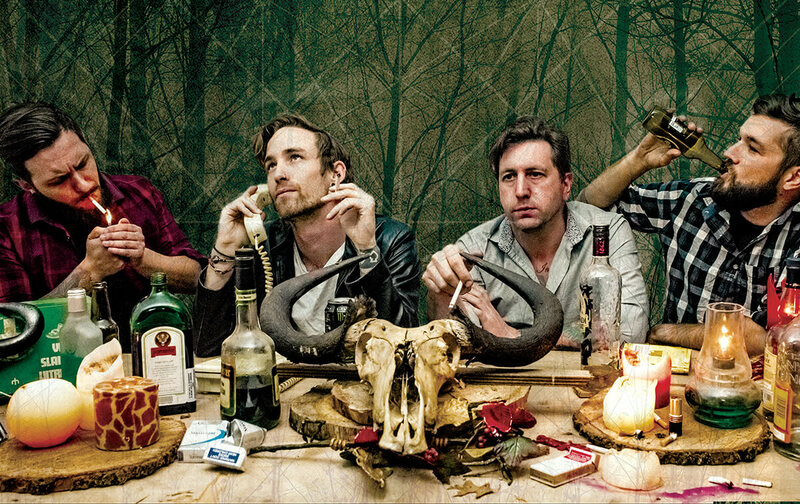 cigarette-toting, blues-swinging, rock ‘n rollers Dirty Moonshine. Bassist Dave Freedman comments; “It’s been a long and interesting road to complete our debut album. From dead bodies being found outside the studio to absolute giggle fits in the studio. 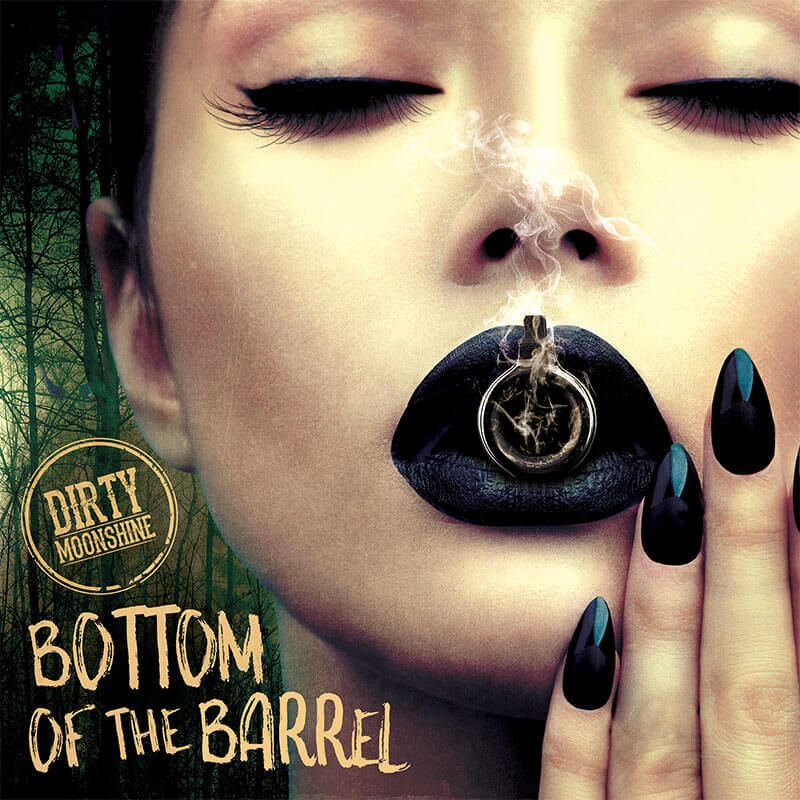 Bottom of The Barrel is available on all digital platforms including. 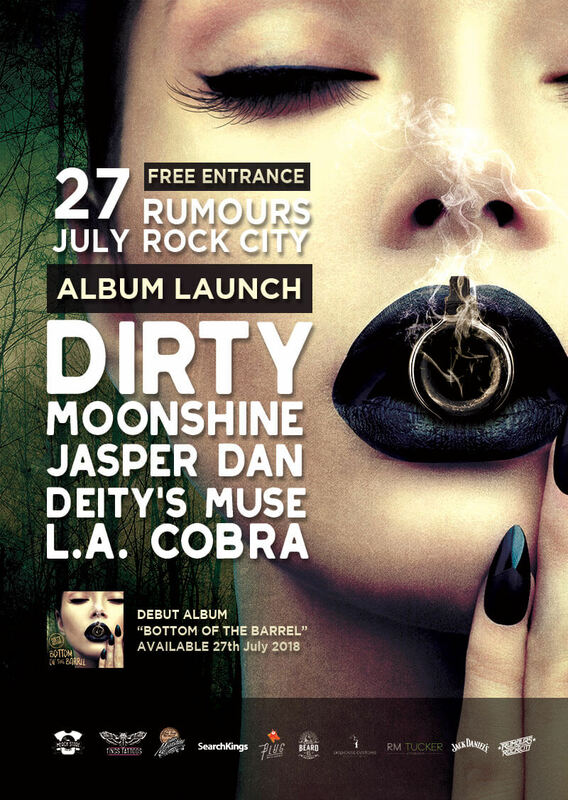 Dirty Moonshine will be launching the album tonight (27th July) and Rumours Rock City in Johannesburg with special guests Deity’s Muse, Jasper Dan and L.A Cobra. Entrance is FREE, and the show kicks off at around 8pm.